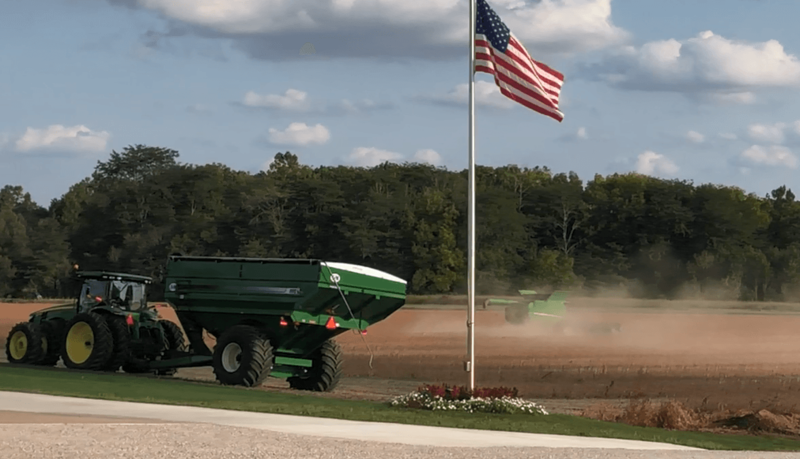 Click on the video above to watch our plot sentinel continue to guard our soybean population plot. Script Ohio demonstrates GPS-guided “smart planting” using multiple soybean hybrids. 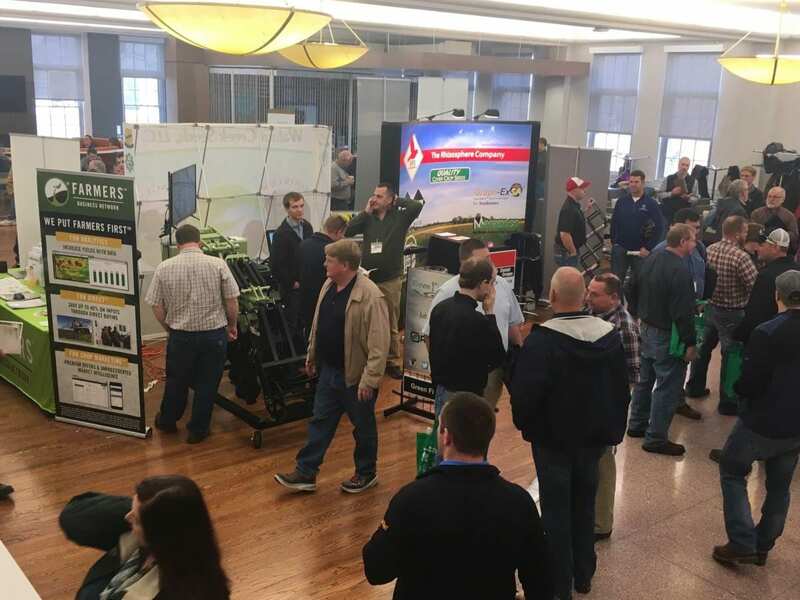 LONDON, Ohio — On their way to the 56th annual Farm Science Review, Sept. 18-20, over 130,000 visitors will pass thousands of acres of soybean fields. But one field in particular is sporting more Buckeye pride than any other. 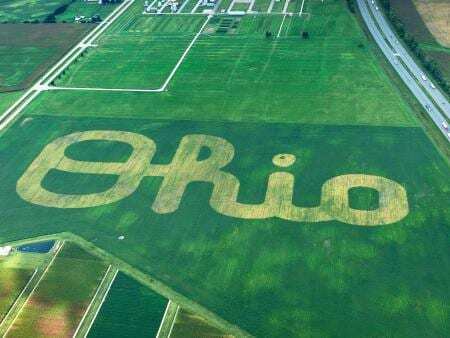 From an aerial view, the world’s largest Script Ohio emerges from a 100-acre field just east of London’s Molly Caren Agricultural Center, site of the Review. For four straight years, The Ohio State University’s Precision Agriculture program has demonstrated GPS-guided “smart planting” using multiple corn hybrids. 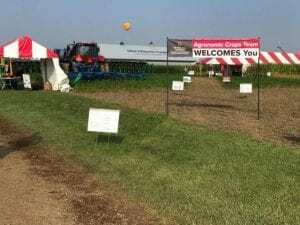 The team brought Buckeye spirit to the field with a block “O” in 2015, Brutus Buckeye in 2016, and the university’s Primary Athletic Identity last year. Now, Precision Agriculture has brought the Ohio State Marching Band’s famous Script Ohio to the soybean field. 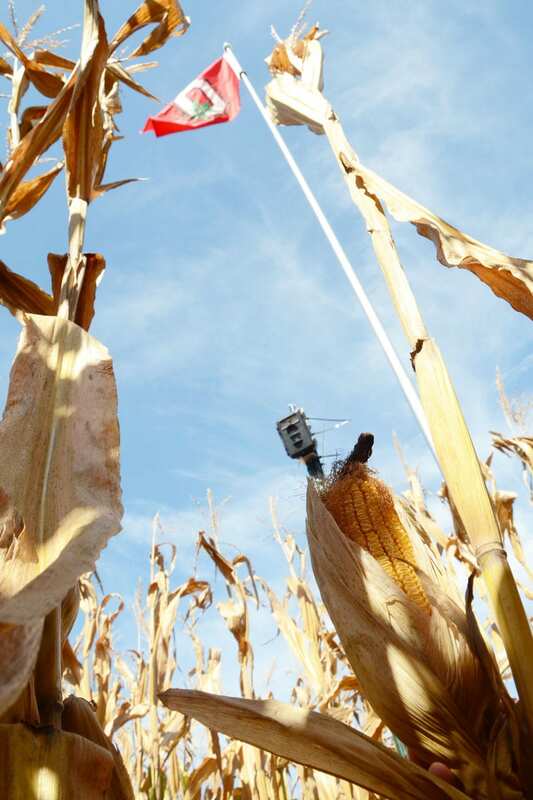 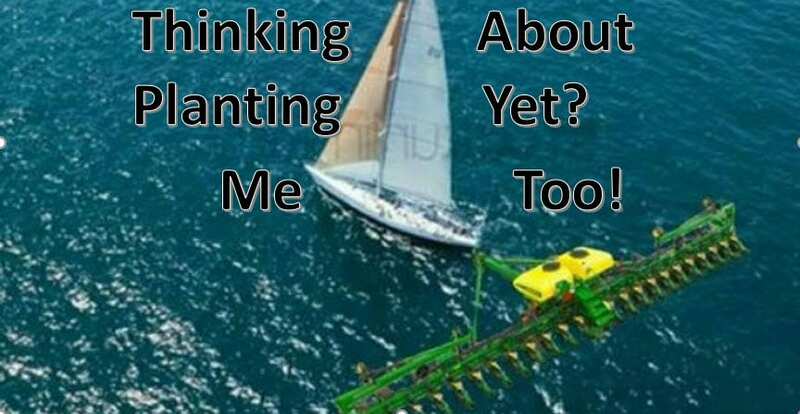 “We decided to start and continue this project to show the potential of new multi-hybrid/variety planting technology and demonstrate that it can complete tasks with accuracy and precision to the point of making logos in field scenes,” said Andrew Klopfenstein, senior research associate engineer in the Department of Food, Agricultural and Biological Engineering (FABE), part of the College of Food, Agricultural, and Environmental Sciences (CFAES).